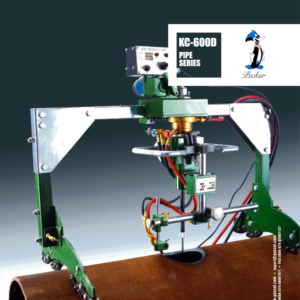 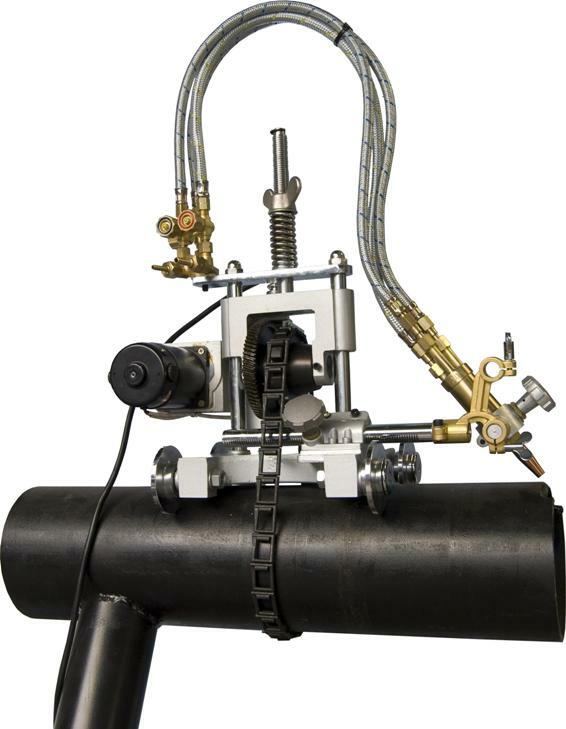 The machine is a remote controlled gas motorized pipe cutting machine based on Model Q-lark. 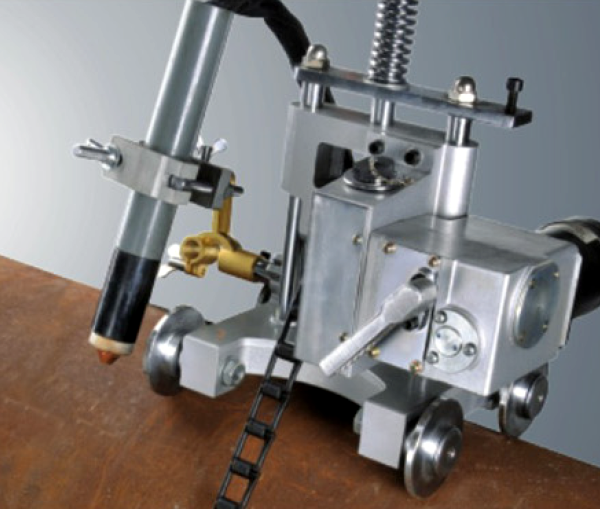 It is a Lightweight, Portable yet Robust chain type Pipe Cutting Machine. 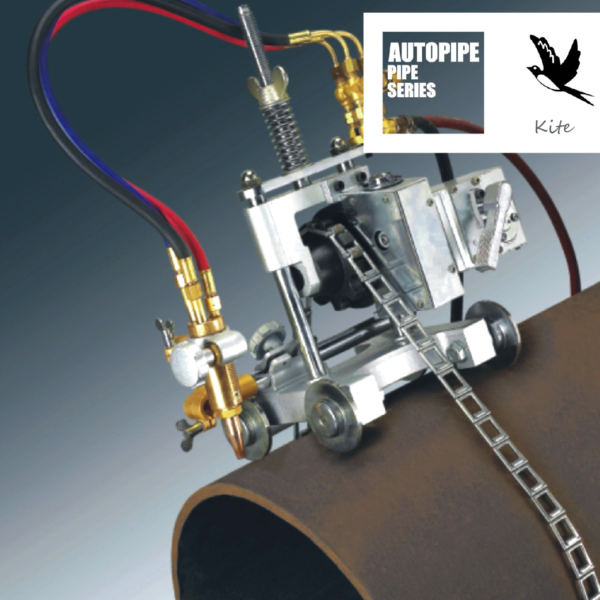 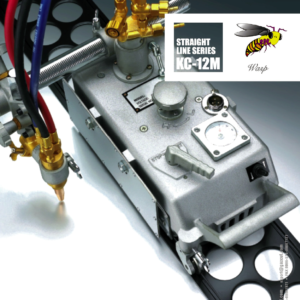 Available in Hand Operated and Motorized versions. 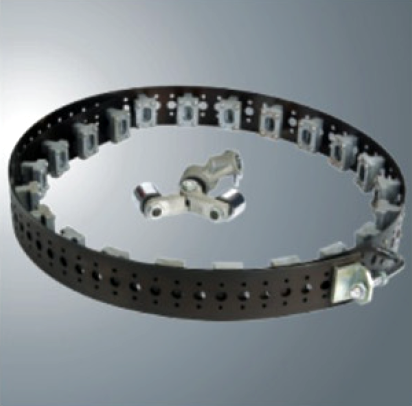 The machine can cut pipes of diameter 150 mm or more by quickly and easily changing the length of the chain. 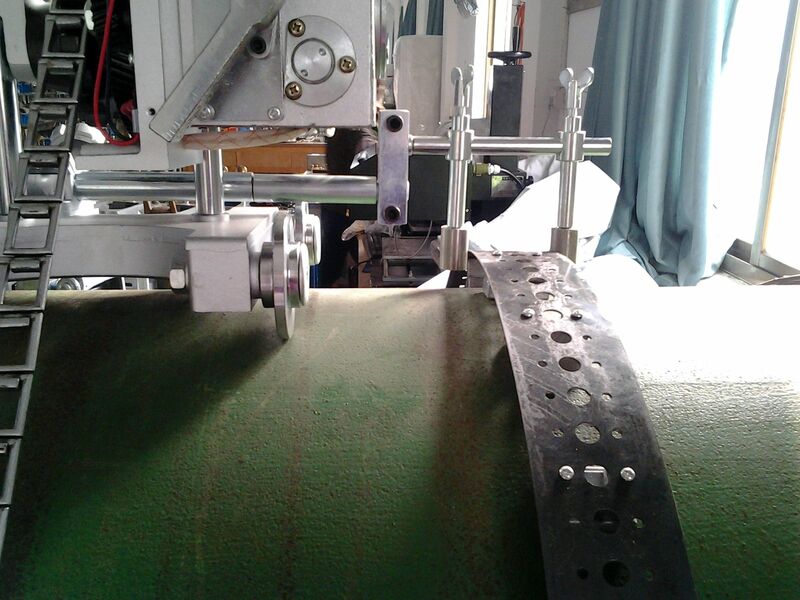 Cutting can be done in clockwise or anti-clockwise direction from both sides of the machines. 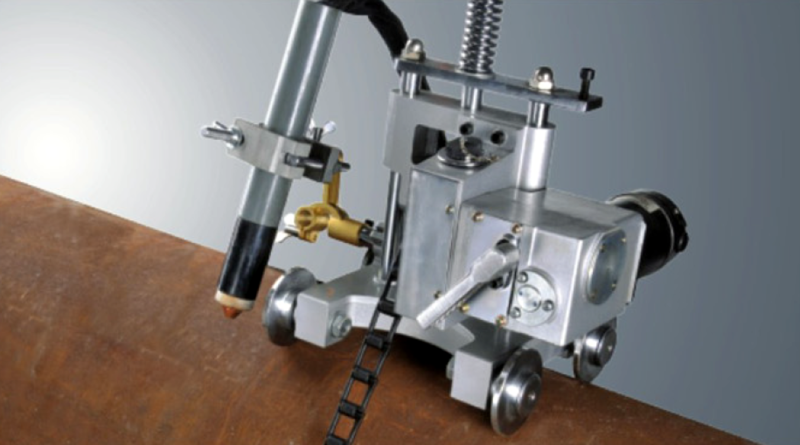 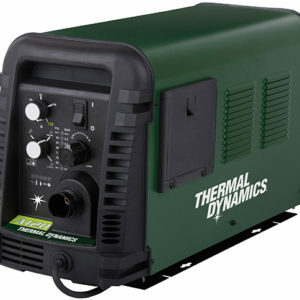 The machine can cut bevels of up to 45o by selecting the required angle on the torch holder. 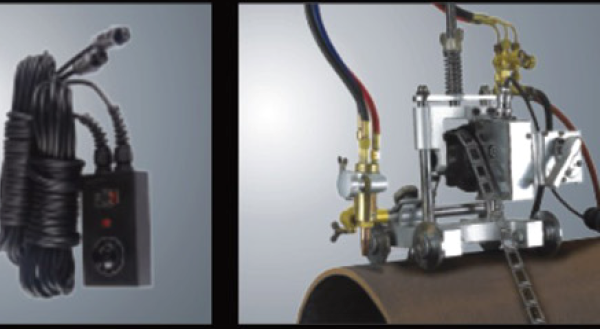 The machine torch can be adjusted vertically and horizontally alongside the pipe surface by rack and pinion attachments. 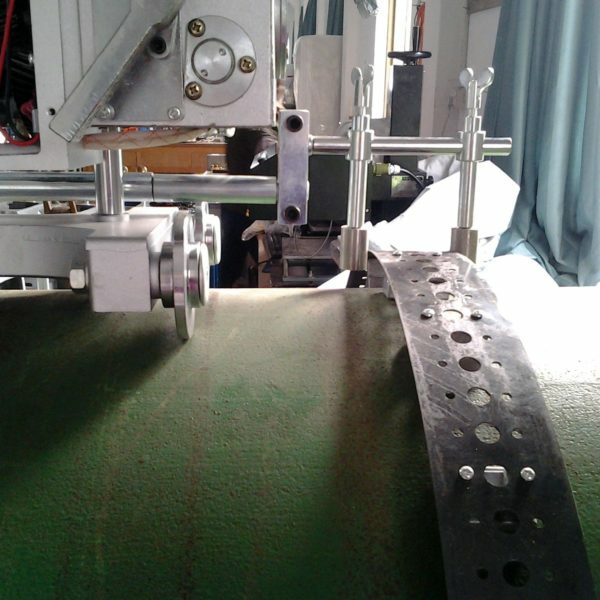 Position and align the machine quickly. 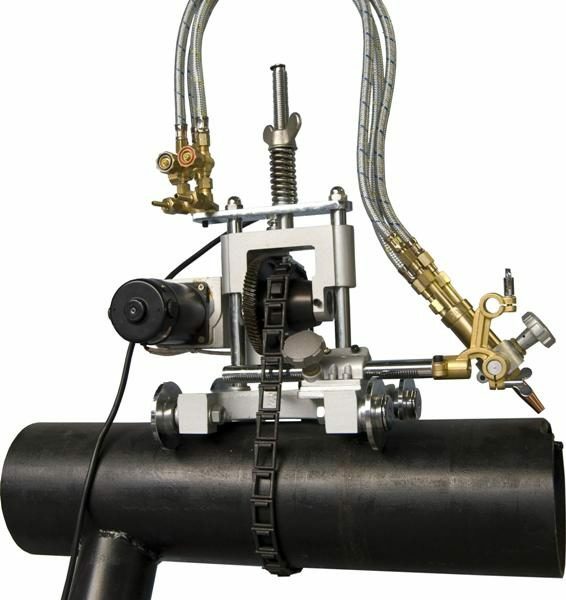 Machine body with torch set. 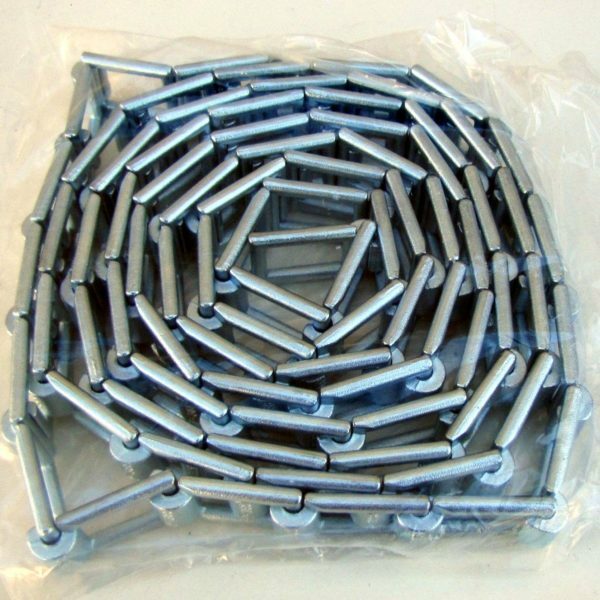 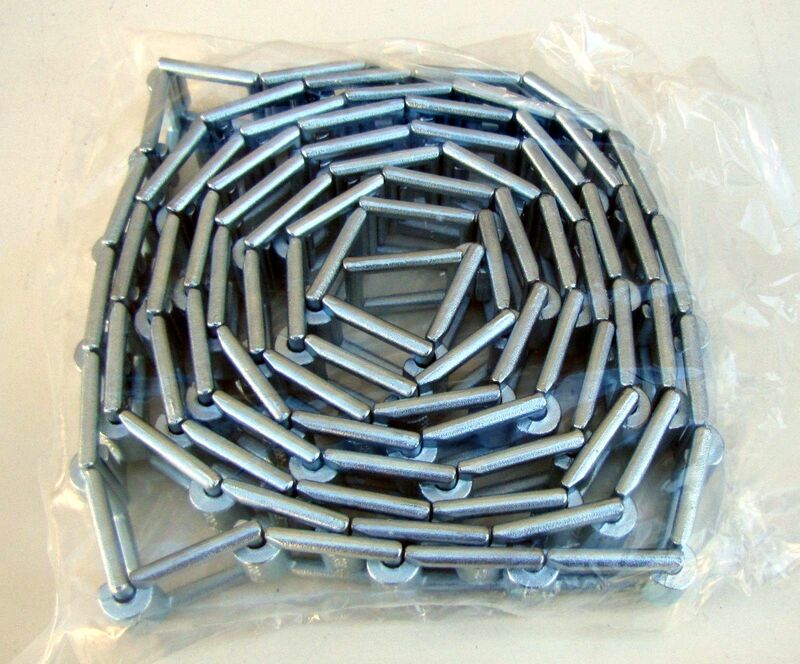 Chain (2,4m 80 pcs. 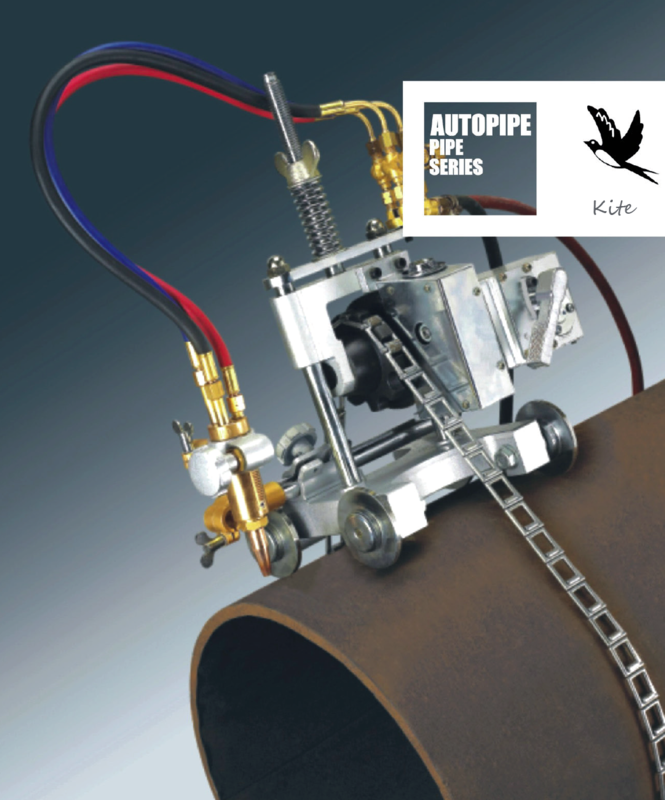 for maximum 600 mm pipe diameter).